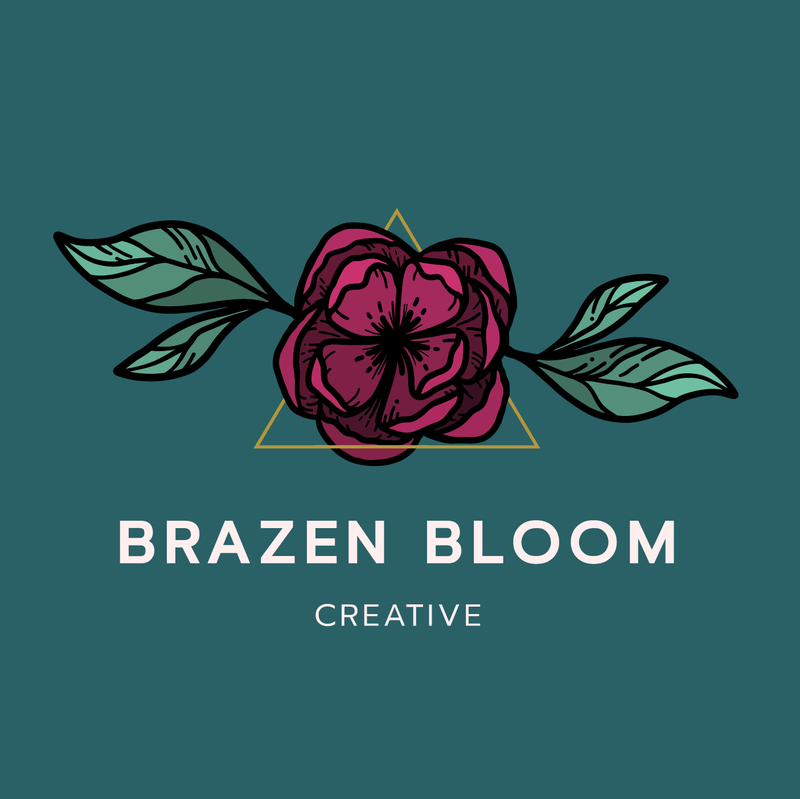 Laurel with Brazen Bloom was experiencing growth in her business and wanted to solidify a visual presence to engage with the world confidently. We worked together to develop a logo in multiple formats which could serve as a mark on communications materials as well as branded onto their custom wood products. Brazen Bloom crafts handmade cedar yoni steaming stools in the heart of the prairies. Their mission is to encourage healing, confidence and self-love in womxn. A hand-drawn floral illustration conveys femininity and power while the triangle mimics the shape of Brazen Bloom’s iconic stool. Multiple marks were built out for use on various mediums. A simple business card concept and mark for wood branding were provided at the conclusion of the engagement.